Just behind the U-Bootbunker of Brest a casemate was found. The site around the U-Boot base and the important oil tanks was defended heavily both by the navy and the regular army. 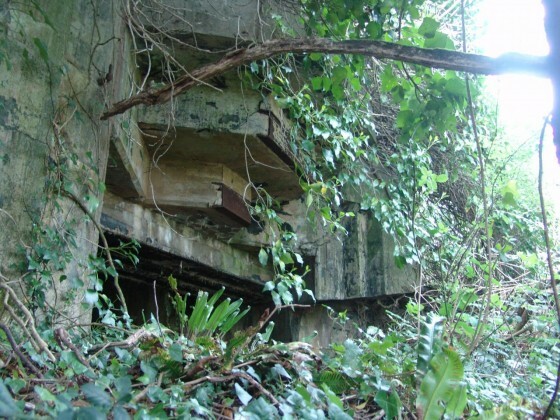 It’s a real dense forest on the hills over there so that’s why this bunker was hidden for so long. Some background info via the Axis forum.